Months after they made headlines around the world, the first female Arab and first Kuwaiti man to sign WWE developmental contracts began their journey to become WWE Superstars at the WWE Performance Center today. Along with several other athletes from across the globe, Shadia Bsesiso of Jordan and Nasser Alruwayeh of Kuwait City officially reported to the WWE PC in Orlando, Fla., for orientation Tuesday. The duo wasted no time in letting their excitement be known, taking to Twitter earlier today before their very first day of training. No idea who they are but both are of middle-eastern origin meaning WWE have a chance her to re-create a Muhammad Hassan character. Hassan generated incredible heat and the gimmick was only binned due to the Network insisting on it. Hassan I’m not sure was actually of Arab descent, if he was it was distant, these two are genuinely middle eastern so the characters would be more authentic. Ricochet is outstanding, he'll be over immediately with WWE's smark-centric crowds nowdays. 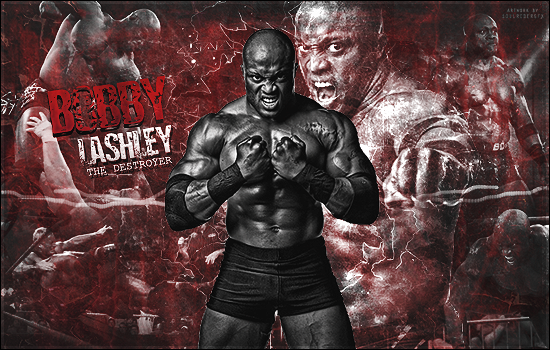 Brilliant wrestler, I think even with adapting to the WWE style he'll be exciting to watch. Probably be best to sell him as a 205'er first. According to sources, WWE is reportedly trying to sign talent who are associated with both New Japan Pro Wrestling (NJPW) and Cody Rhodes and The Young Bucks’ “All In” show. While specific names are not known as of this writing, there has been a lot of talk about WWE opening “lines of communication” with multiple talents. The names currently confirmed for the “All In” event are: Cody Rhodes, Nick “Magnus” Aldis, The Young Bucks, Penta el Zero M, Rey Fenix, Kazuchika Okada, Deonna Purrazzo, Tessa Blanchard, Joey Janela, Britt Baker, Jay Lethal, Penelope Ford, Chelsea Green, Marty Scurll, Adam Page, and Rey Mysterio. Purrazzo has already signed with WWE and Rey Mysterio and WWE have been in talks about working together since before WrestleMania. The “All In” event takes place on September 1st in Chicago, Illinois. Cody will surely have his All In signed up guys on water tight contracts that they can't cancel on him. Hoping that Nick Aldis is one of the names they are after, as I have only waited about a decade to see him in E.
Tessa Blanchard has a good character in Impact, but her ring skills need a lot of work. I doubt she will be one of the names, as they have had many chances to sign her in the past. I’m a little surprised Nick Aldis hasn’t signed with WWE but he doesn’t seem to have the best reputation in the business which I have a feeling may be the reason why as it seems WWE haven’t even shown interest. Rey Mysterio has been in negotiations with WWE for a while and I think it’s a matter of time before he comes back, I think it’s a question of the best way to use him as I can’t see him working a full schedule. The Young Bucks have gone on record saying they don’t want to go to WWE at this point. Jay Lethal is definitely someone WWE should be looking to add to NXT. Dave Meltzer reported in the latest edition of the Wrestling Observer Newsletter that WWE is becoming very aggressive when it comes to taking talent off the board. The reason for this is due to the successes of All In & the ROH/NJPW G1 event. This is why WWE changed their mind on Matt Riddle and signed him. The sports entertainment company is also targeting Fenix & Pentagon Jr., and Shane Strickland. Never seen Matt Riddle, but he's talked about like he's already a star. Pentagon Jnr is pretty good and won the Impact world title on PPV earlier this year. Still hope for Nick Aldis. He did a outspoken three part interview earlier this year on the Wade Keller Podcast where he insinuated people within E don't want him there and he doesn't know why. I saw Matt Riddle back in January he was a great in his match against Australian wrestler Slex, I didn't care for his bro chant or the surfer thing he had going on but other then that he is a very talented wrestler and could do well in WWE's midcard.